Proscreens had the pleasure of providing two 14 x 7ft projection screens for an event over the Halloween weekend. This was an unusal job. 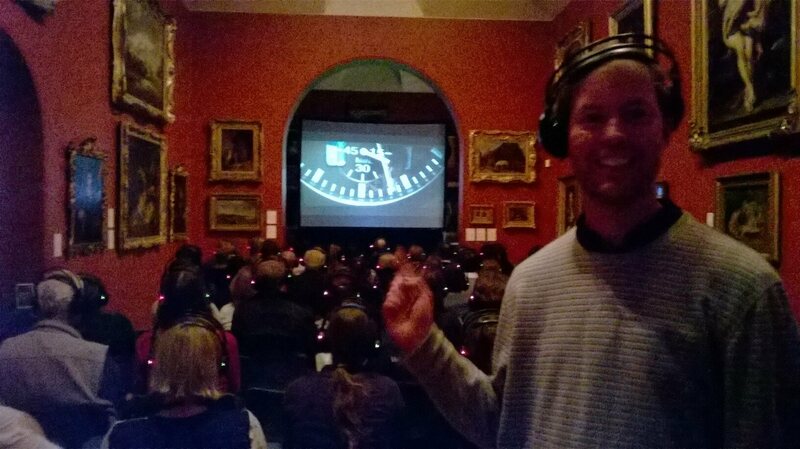 We had to show the same film on two screens sited at each end of the gallery. We did this by splitting the signal and sending the feed to the other screen via Cat 6. Upon set up we had to be mindful of all the expensive art work on the walls. Such a lovely venue to show films in.